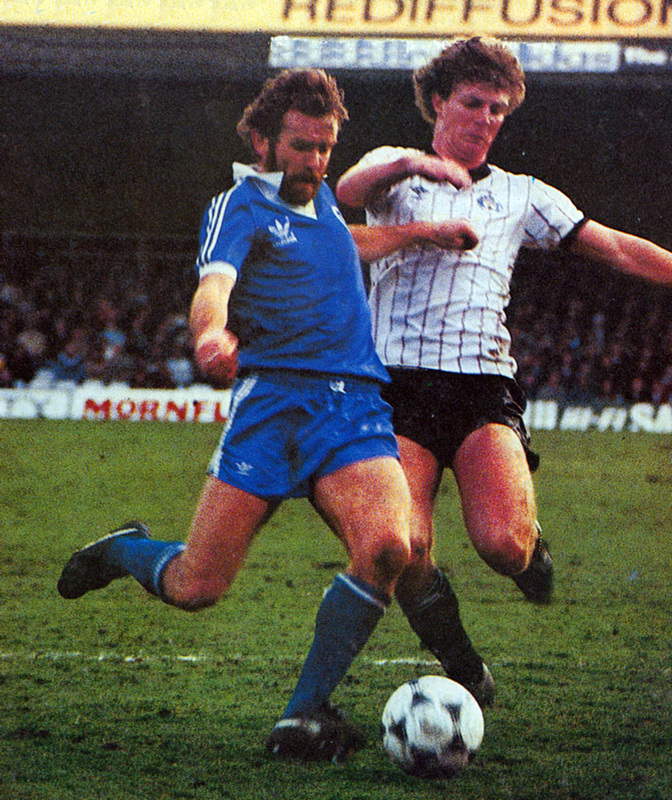 Here is Peter O’Sullivan in a rare Bukta-branded shirt from the end of the 1976/77 season. This blog featured this shirt in a previous post a few months ago. 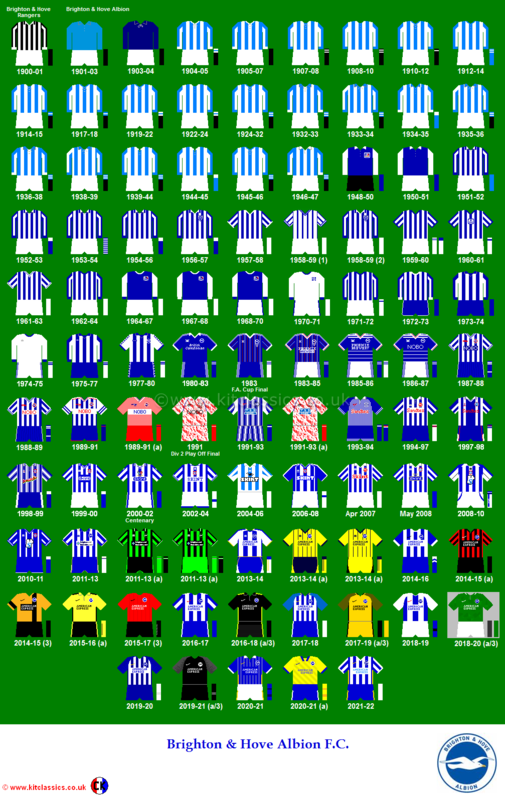 These days very few footballers spend ten years at one club and when Peter O’Sullivan recently completed 400 League games in Albion colours it was certainly quite an achievement. When, on April 20, 1970 the youngster with the ‘Beatle’ style haircut came to the Goldstone from Manchester United not many would have thought that 10 years hence he would still be turning out and still wearing the number ’11’ shirt. In fact, when Peter made that 400th appearance he had never been chosen as substitute but since then he has worn ’12’, for the first time, at Derby 10 days ago. When he first came to the Goldstone the little Welshman with the Lancashire accent was an orthodox winger. As the game has changed and patterns of play have altered he has become a midfield player and he has been chosen once for Wales as a full cap, that against Scotland in May 1976 while he has also twice come on as a substitute in a full international, against Scotland in 1973 and against Malta just under a year ago. Peter has played for the Albion in Three Divisions of the Football League. When he came to the club the side was in the Third Division and Peter was in the promoted side in 1972. Unfortunately, after just one season it was down again to Division Three and there they remained until the current ‘Alan Mullery era’. Promotion from Three to Two in May 1977 was followed by disappointment a year later when the team just failed to gain promotion to One on goal difference. Ironically it was the failure of tonight’s opponents Southampton to beat Tottenham Hotspur at the Dell that meant that ‘Sully” and his colleagues were destined to have another season in the Second Division. However Peter’s ambitions, and those of many more were finally fulfilled just under twelve months ago on that marvellous day at Newcastle. Ambitions that seemed to have been ended with his release from Manchester United were, nearly 10 years on, finally to be realised. On October 9 last year Peter ran out at Old Trafford in front of 52,000 fans and he knew that he’d finally made it. Although, at that time, Albion were struggling in the League; Peter has now played quite a part, hopefully in ensuring the Club’s future. 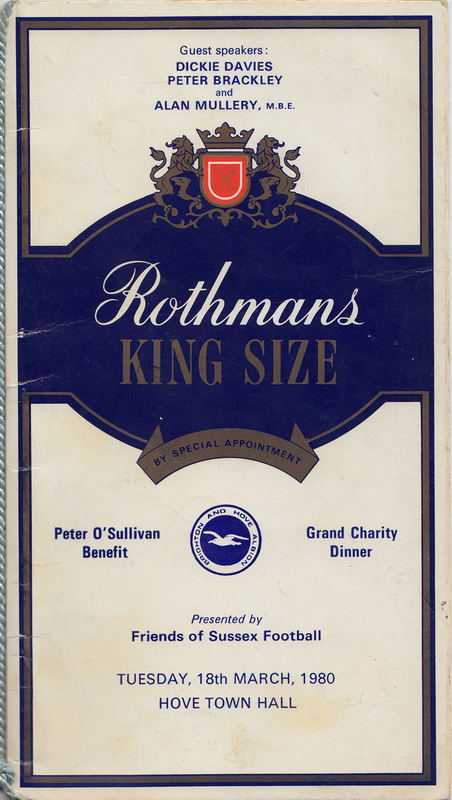 During the year a number of benefit functions have been organised for Peter and the Committee of ‘Friends of Sussex Football’, the benefit organisers, have worked hard to make it a successful year. One of the functions held recently was a businessman’s lunch at the ‘Sussex Pad’ in Lancing where landlord, Wally Pack and friends provided a marvellous spread. Our picture shows Sully helping Wally and his staff with the carving. 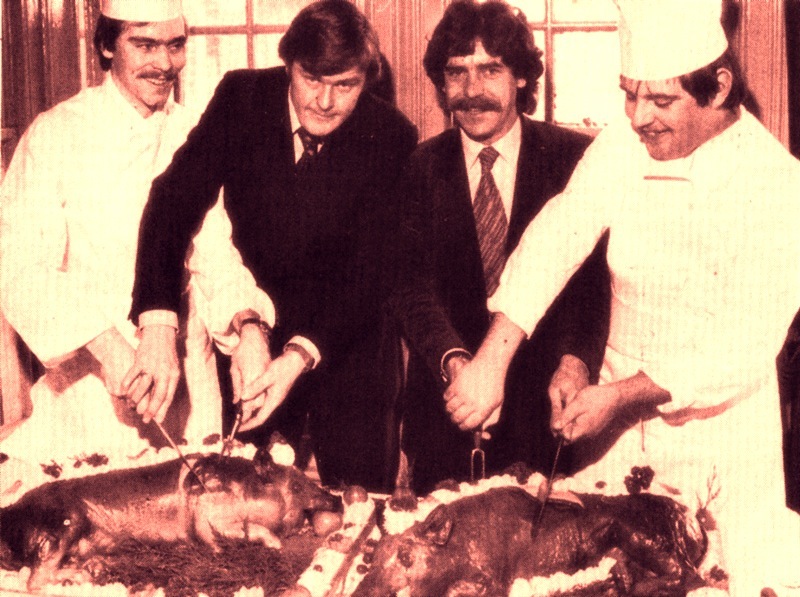 At the Grand Charity dinner in March 1980, with guest speakers Dickie Davies, Peter Brackley and Alan Mullery, the dinner guests enjoyed the delights of asparagus mousse with smoked turkey as a starter. This was followed by grilled trout with almonds, and then roast contra fillet of beef, sauce madeira, garden peas with bacon and parmentine potatoes. Desert was pineapple cheesecake with fruit salad, and then petit fours and coffee. 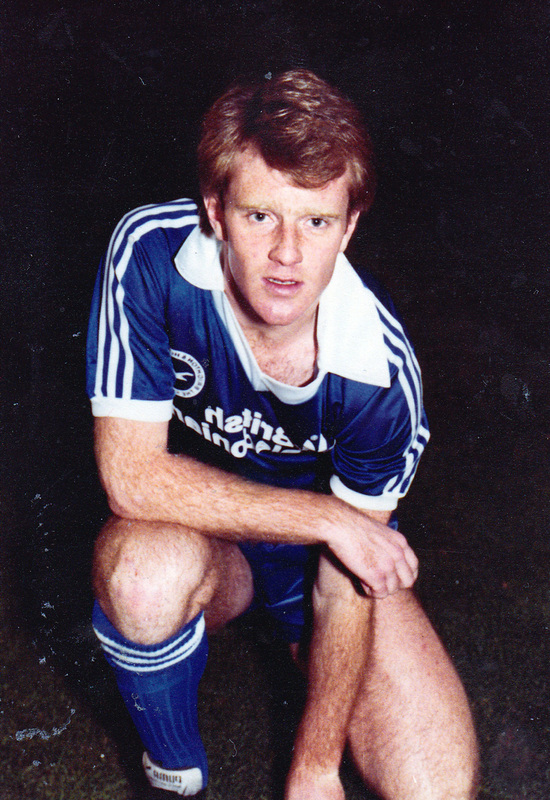 If Andy Ritchie, one of the most promising young centre-forwards in the country, realises his full potential then Manchester United manager Dave Sexton may regret selling him to Brighton for a “give-away” £500,000. Brighton manager Alan Mullery sees Ritchie as the perfect striking partner for Mike Robinson, a £400,000 buy from Manchester City. And although it’s uncertain whether Ritchie can help unfashionable Brighton to become a major force in the First Division, it seems inevitable that he will one day play for England. Why Sexton would not give him an extended run in the United side this season is a mystery. Perhaps when United were finding it hard to regain their scoring touch in the early games, Sexton felt he needed someone more experienced than Ritchie. Yet the 20-year-old striker’s scoring feats made him a firm favourite with the Old Trafford fans. He blasted two hat-tricks in his occasional first team outings during the last two seasons, to take his goals tally for United to 13 in only 23 full League games before the present campaign got under way. Admittedly, he could not find the net for United when he was brought into an injury-hit side early this season, but then neither could the rest of the team. However, it was Ritchie who was dropped. After his transfer, Ritchie commented: “I feel that at Brighton I now have a better chance of establishing myself as a First Division player. '” Other managers apart from Mullery had not been slow to recognise Ritchie’s talent. Tommy Docherty, who had first signed him for United, had wanted to take him to Queen’s Park Rangers and it was following the comments Docherty made when Chelsea were trying to sign Ritchie that the ‘Doc’ was sacked as Rangers’ manager. The first manager to make a bid for Ritchie was Aston Villa’s’ Ron Saunders. Last season Saunders offered United £350,000 for him and Sexton would have let the youngster go, but Ritchie turned down the move. Ironically, Ritchie, whose big ambition is to play for England, looks a better long-term prospect than United’s most regular striking pair, Joe Jordan and Jimmy Greenhoff. The 5ft 9in well-built youngster may not be as powerful as Jordan, yet since making his debut for United against Everton three seasons ago he has proved himself to be a more consistent marksman than the Scottish international. By the end of the 1978-9 season Ritchie had scored 10 goals in only 20 full League appearances, compared with Jordan’s nine goals in 44 games. And when last season finished he had hit 13 goals in 23 full games (plus six substitute appearances), whereas Jordan had taken his tally to only 22 goals in 76 games. Sexton tended to play Ritchie only as second choice to Jordan, and this pair partnered each other very rarely. Two seasons ago Ritchie came into the United side against Leeds and scored a hat-trick in a memorable League game, but he was dropped for the next match so that Jordan could return in the F.A. Cup semi-final against Liverpool. That ended in a draw, with United winning the replay. The unfortunate Ritchie was substitute for both semi-final encounters, coming on in the second game, but was then left out of the final. Last season, when Jordan was injured, Sexton played Steve Coppell and Lou Macari as twin strikers in preference to Ritchie, who didn’t come into the side until late in the season against Spurs. He then scored another hattrick in a 4-1 win – a remarkable feat in his first full League game of the season. Ritchie is now learning to fit into a new-look Brighton team which Mullery has reshaped by paying £400,000 to Glasgow Rangers for Gordon Smith, and £100,000 plus Andy Rollings to Swindon for Ray McHale. Then there was the £400,000 for Mike Robinson, and another £100,000 enabled Mullery to pick up Israeli internationals Jacob Cohen and Moshe Gariani. Ritchie could prove to be the best buy of them all. He is not only very talented, but also extremely loyal and he knows his own limitations. The young striker, who used to support Manchester City as a lad and had trials with them before joining United, has already represented England at two levels. He scored six goals in nine games for England schoolboys and was then picked for the~ England Youth team. He recalled: “When I was 17, I went to Poland for the Mini World Cup but I suffered a hip injury in the second game and missed the rest of the competition. 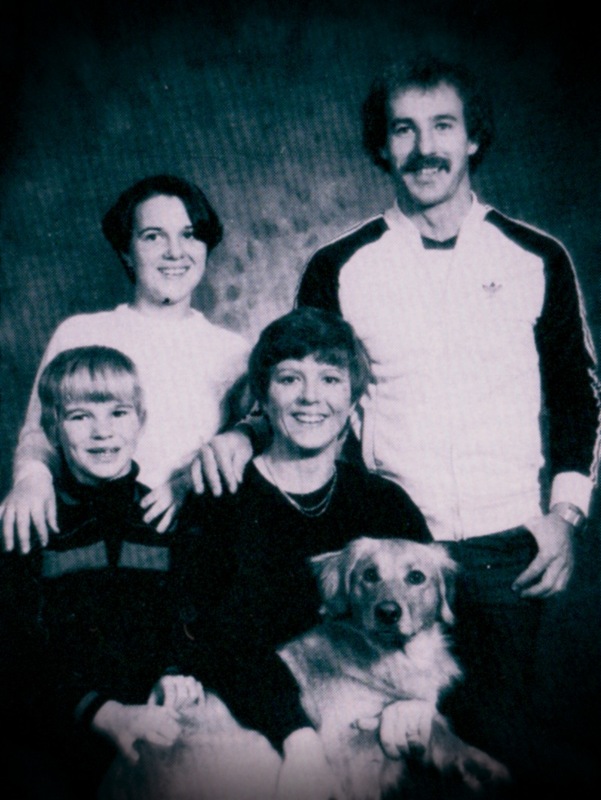 It is fair to say that Ritchie did not show his best form in 1980/81. After hitting five goals in ten games in all competitions from late November to mid-January, he went on a long and barren spell without scoring. While he did a good job in providing Michael Robinson, his own lack of goal touch meant that Alan Mullery gave young Giles Stille a run in the side in February and March. 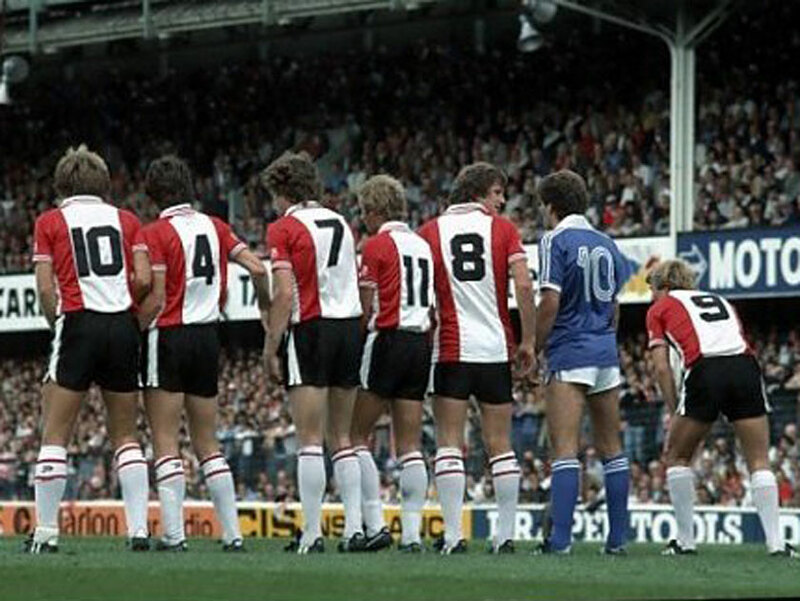 Even so, who was it who got the decisive second goal against Leeds on the final day of the 1980/81 season? Why, Andy Ritchie, of course, scoring with a confident volley, to guarantee First Division survival. 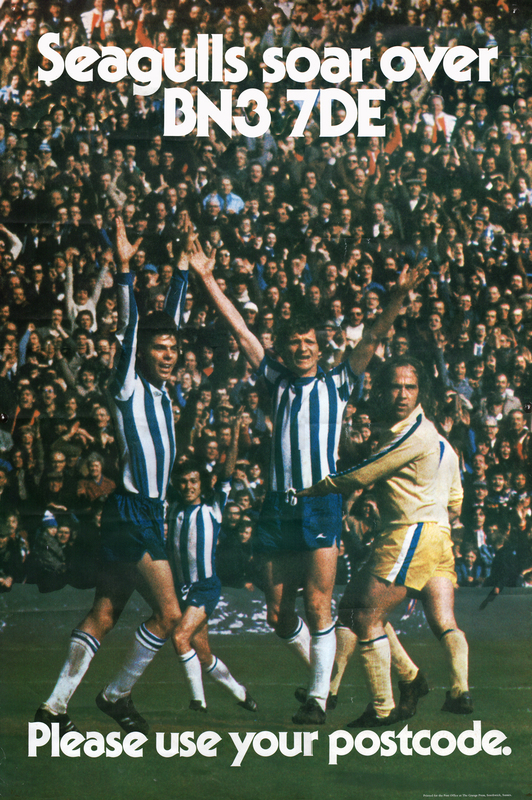 It was the last goal under Alan Mullery’s glorious first spell at Brighton. Ritchie’s England hopes had faded as the season went on, but his chances of playing himself into the national side were back up during the following campaign after enjoying his first pre-season at the Goldstone in the summer of 1981. Tomorrow, it’ll be exactly thirty years since Brighton’s tremendous FA Cup 4th Round humbling of mighty Liverpool in January 1984. As a Second Division side, the Seagulls beat the League Champions 2-0 on ‘The Big Match Live’ thanks to two goals in two second half minutes from Gerry Ryan and Terry Connor. Seaside sensations Brighton capped a season of shocks when, for the second year in succession, they sent FA Cup favourites Liverpool spinning out of the competition. “Match” brings you the inside stories and the best pictures from the Fourth Round stunner. 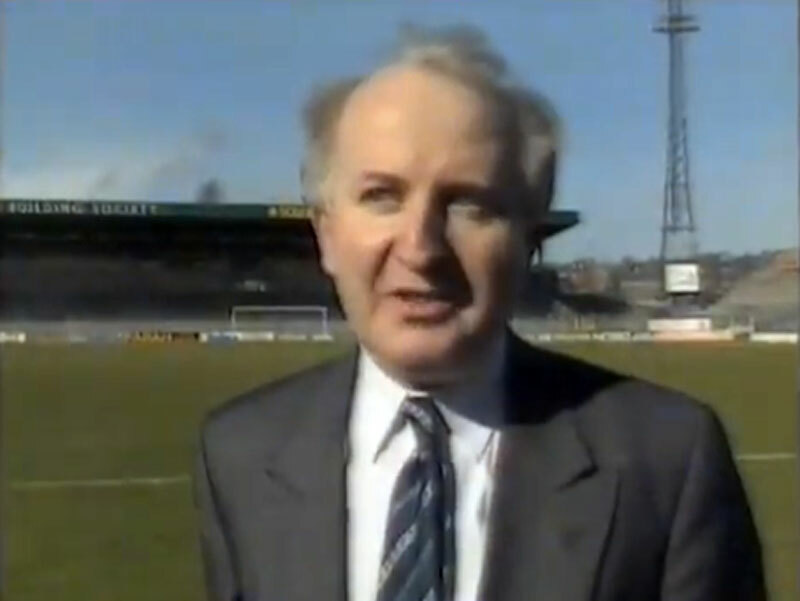 Seagulls hero Gerry Ryan came down to earth this week to re-live his FA Cup fairy tale. Gerry set South coast Brighton on their way to yet another sensational Cup victory over Liverpool by scoring the opening – against the League champlons for the second year running. The Irish international rocked Anfield last year with Brighton’s opener in the Fifth Round… and he repeated the trick in this season’s tie at the Goldstone Ground. And the scourge of Liverpool admits: “It’s unbelievable. To beat the best team in Europe twice in the FA Cup is magnificent, but to score on both occasions really puts the icing on the cake for me. I*11 never forget it. “The goal at Liverpool was a simple tap-in after some great work by Michael Robinson but it will always be special because it helped set up a victory at Anfleld .. and not many teams achieve that. “My effort last week was more spectacular, although I thought the referee was going to blow for offside when Tony Grealish lobbed the ball over the heads of Mark Lawrenson and Alan Hansen. 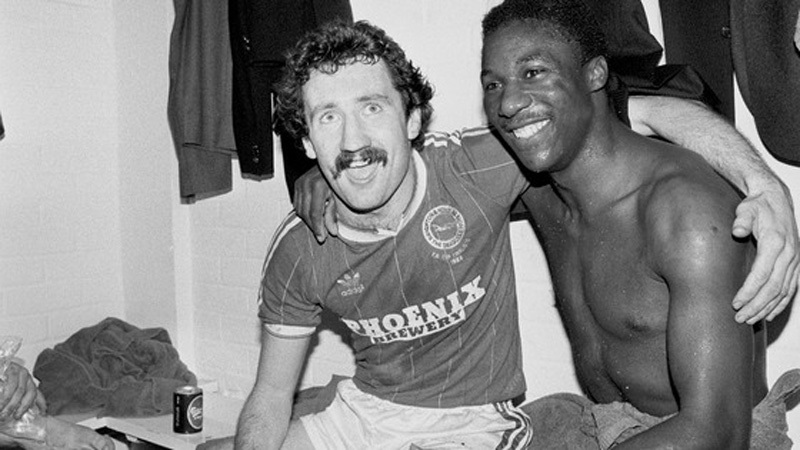 And just 60 seconds later, the Second Division club had wrapped up another sensational victory when Terry Connor put Brighton 2-0 ahead. Gerry admits that the early departure of skipper Graeme Souness with a hamstring injury had a big bearing on the result. He says: “Graeme is a major influence on the side and his loss unsettled them. “This victory was more satisfying than the one at Anfield because we deserved to win. Last season we were very lucky because we were under the cosh for most of the 90 minutes. “Liverpool could have been over-anxious. Our win at Anfleld last season hurt their pride and they must have been really keyed up to beat us. “Even though we’ve beaten them twice in the last year, I still regard them as the best. I thoroughly expect them to finish the season as League Champions and European Cup holders. “Brighton have done the rest of the teams still left in the FA Cup a big favour by knocking out the favourites and Gerry says: “Anyone can win it now – even us. The Second Division club’s win has once again got the South coast fans buzzing and dreaming of s dramatic return to Wembley, where they were beaten last season 4-0 by Manchester United in a replay. ‘There aren’t many quality teams left in the Cup now and we must fancy our chances because we’ve got players here who can rise to the big occasion; “But I’m afraid to think about the prospect of returning to Wembley at this early stage,” says Gerry, who joined Brighton from Derby for £80,000. Jimmy Case believes Brighton can take Liverpool’s place in the FA Cup Final … so taking the glorious ride down Wembley Way for the second year in succession. Explains Jimmy: “Most people would have forecast Liverpool as one of the finalists. “Having beaten them again, we SHOULD go all the way. No disrespects to our next opponents Watford but that’s the feeling at the club now. “Looking at the teams left in the competition, it’s anyone’s Cup.” Jimmy was speaking just 24 hours after Brighton’s latest shock victory over the League champions and he told ‘Match’: “It still hasn’t sunk in. I just can’t believe it. “This has to be an even greater achievement than when we knocked them out of the Cup last season. “People might have thought us lucky last time but this proved it was no fluke. “The lads were really keyed-up and it was a really great all-round team performance. “Against a team like Liverpool, every player has to be on top form and, on this occasion, everyone played their part. “It was certainly one of our best performances of the season. “The defence kept Ian Rush and Michael Robinson pretty quiet and, in goal, Joe Corrigan made some vital saves at crucial times. “The midfield was biting all the time and wide men Neil Smillie and Steve Penney were both on song. “It seemed to stun Liverpool when we scored our second goal but they slowly started coming back into the game. In the previous road we’d seen off Sunderland after a replay but a Sunday morning training session at Maine Road prior to the game showed how badly things had deteriorated at the club and should have made events after the game at Brighton not quite so surprising. As we trained, Nicky Reid and John Bond had an argument that threatened to get out of hand, and that resulted in a nasty half hour of action with some players intent on hurting one another. ‘What do you mean by that?’ he asked. I explained that the cup exit would mean cost-cutting exercises and I’d be one of them. I assured him I would be on my way before long and, within three months, that’s exactly what happened. The 217th FA Cup-tie in Albion’s 82-year-old history will long be remembered for the majestic manner in which Manchester City were despatched. Thus an equally famous occasion 58 years ago at the Goldstone was averaged. Then, in a third-round tie, Third Division Albion were crushed 5-1 after previously performing the prodigious feat of knocking out Everton. No doubt the degree of satisfaction warmed the cockles of any old-timer’s heart to see the record put straight, for it ever a side were comprehensively beaten it was Manchester City. I doubt if John Bond, who departed in utter misery, contemplated for one moment the total destruction of his team. On the day, i thought, they sold him short and, seeing no way past Albion, an air of surrender was discernible. There was the misfortune of losing skipper Paul Power with damaged knee ligaments at the half-hour after a tackle with the uncompromising Chris Ramsey, but that alone could not explain City’s astonishing collapse. Peter Bodak, the sub, caused one or two problems with his crosses, but at no time were Albion in danger after taking such a firm grip. Had a goal at 57 minutes been allowed, then Mike Robinson would have scored a hat-trick and Albion finished even more convincing than 4-0 winners. The revelation was Steve Gatting, playing only the third game of his League career at left-back. I think Gatting had two games at No.3 in his first season at Arsenal. Having been omitted lately, and then moved to say that he didn’t fancy staying unless he is in the team, maybe Gatting will have a re-think. Apart from Pearce, and among defenders, Gatting is the only natural left-sided player in the squad, and I must say he surprised me with the quality of his play. In my book, the star was Jimmy Case on a day when there were so many stellar performances. Since Melia took over and got on the Merseyspeak wavelength with Case, his involvement has become greater with every match. He ripped the heart out of City’s experienced midfield together with Tony Grealish. At training, Grealish is the first player the five-a-side skippers automatically ask for. To be so highly esteemed by colleagues has to be earned, and never let it be forgotten that it was Grealish who set such a sterling example by his leadership at Newcastle. He won ball after ball against City, and exhibited fine control in setting up the third goal for Robinson with just over 20 minutes remaining. 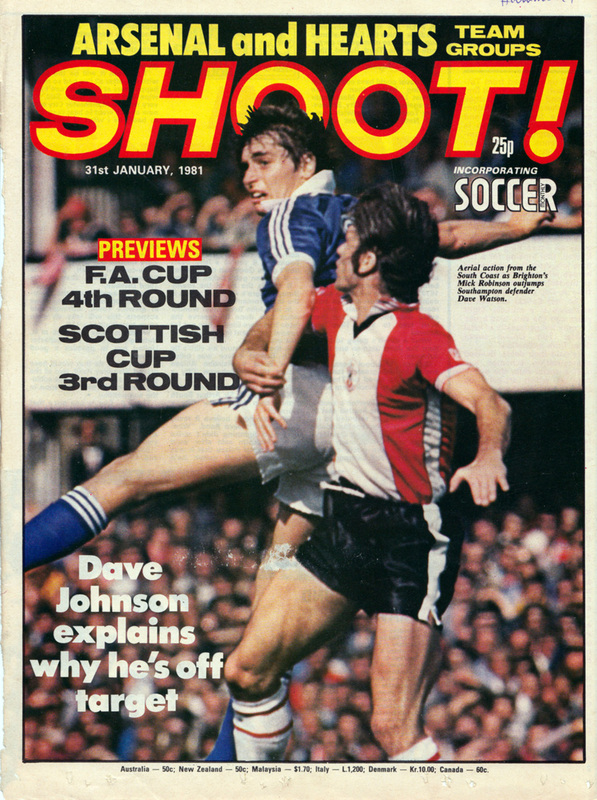 By then City were skint, and Robinson finished them off rather as a matador puts the bull out of its misery. The eighth-minute opener by Case that deflected off Kevin Reeves was a piece of overdue luck and Neil Smillie’s continuing improvement was signalled by his first goal for the club before the break. 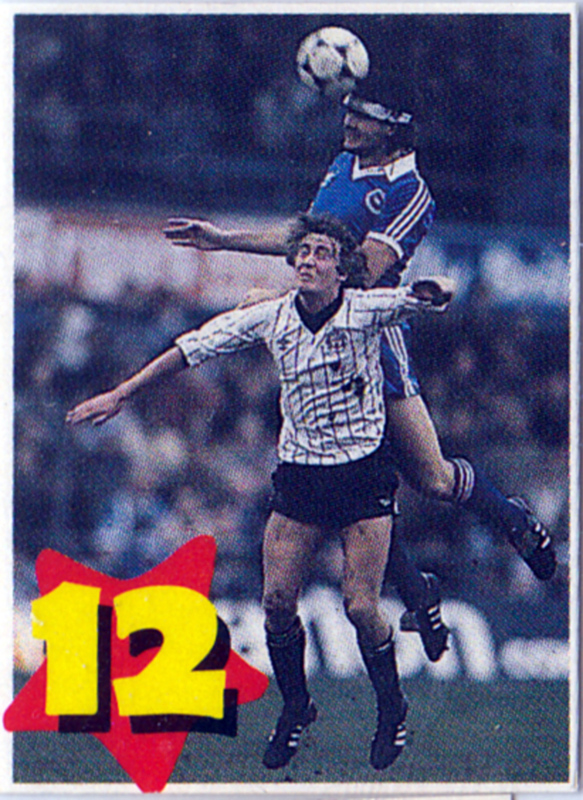 Just before, Steve Foster suffered a painful dead leg. At first, there were fears it might be a pulled hamstring, but it was nonetheless worrying. It might have slowed him a pace or two, but his attitude remained unchanged. City vainly tried to unsettle him: an elbow in the eye was the prime example, but nothing worried Foster, and certainly nothing diverted Gary Stevens from that much admired elegance that made City’s England candidate, Tommy Caton, look so average. As the physical element was introduced by despairing City, so they derived no change from Ramsey. Gordon Smith used his incisive eye for an opening to set up a rich assortment of passes, while Andy Ritchie and Robinson created havoc in the box. The one dodgy moment came early into the second half when Steve Kinsey hit a post. Had it gone in, Albion’s lead would have been cut to 2-1. When it did not, the white flags were fluttering, and it might have been appropriate had Bond tossed in the towel as well. Albion: Moseley, Ramsey, Gatting, Grealish, Foster, Stevens, Case, Ritchie, Robinson, Smith, Smillie. Sub: Ryan. Well, John Bond did toss in the towel, resigning after this capitulation by the Seagulls. Yesterday, Brighton won 3-1 against Port Vale in the FA Cup 4th Round. In April 1977, though, they battled in the Third Division in front of 23,446 supporters at the Goldstone, with Gerry Fell getting the only goal. As you can see, Peter Ward and Sammy Morgan led the celebration (with a mixture of Bukta and Umbro branding on their kit), plus Ken Tiler in the background. 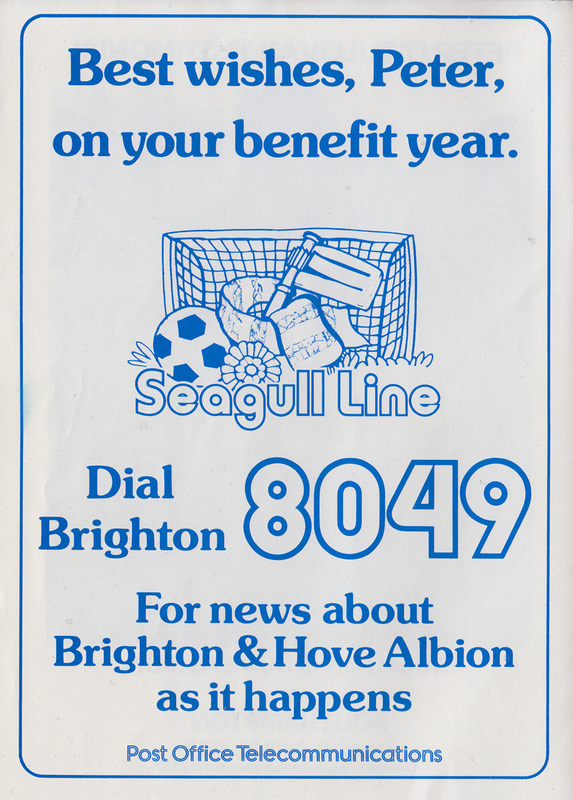 Bill Swallow of the Swallow Company, designers of the current Albion programme, tells me that he was the Post Office’s Press Officer for the South East in 1977 and the poster was his idea. Apparently the ‘bean counters’ wouldn’t allow him to get it printed until promotion was certain, but he wanted to get it on the side of mail vans as soon as possible after the date so it was prepared it in advance. The poster was a great success. It went on nearly all local vans during May 1977 and, to Bill’s delight, numbers of them were stolen off the sides, probably an unprecedented occurence! Bill later did a Reading FC poster – very similar but obviously not as nice! I won my copy of the poster at an auction at Withdean many seasons ago. It is also on display in the BHAFC fan bedroom at the new museum at the Amex stadium, which will hopefully be opening very soon. 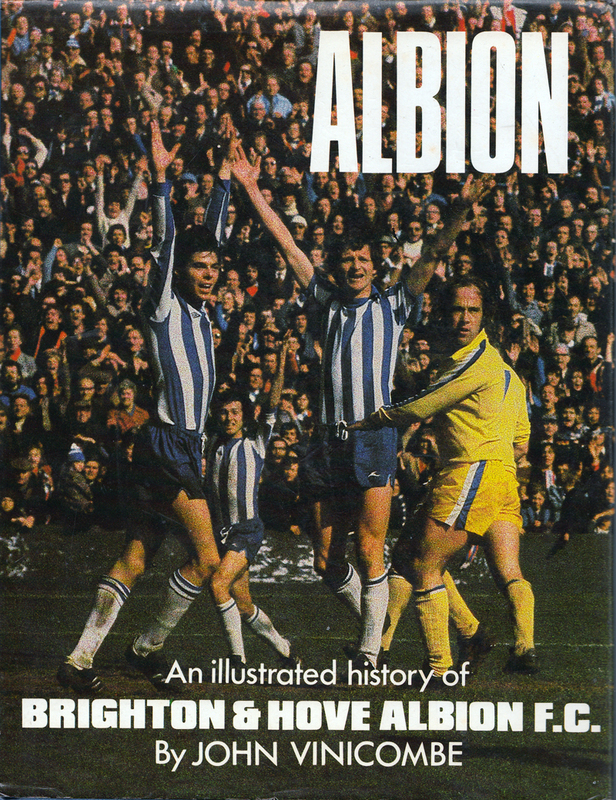 Of course, the image from the 1-0 victory over Port Vale was also used on the front cover of ‘Albion – An illustrated history of Brighton & Hove Albion FC’ by John Vinicombe. This rather error-ridden book was published in 1978, covering the story up to the end of the 1977/78 season in Division Two. 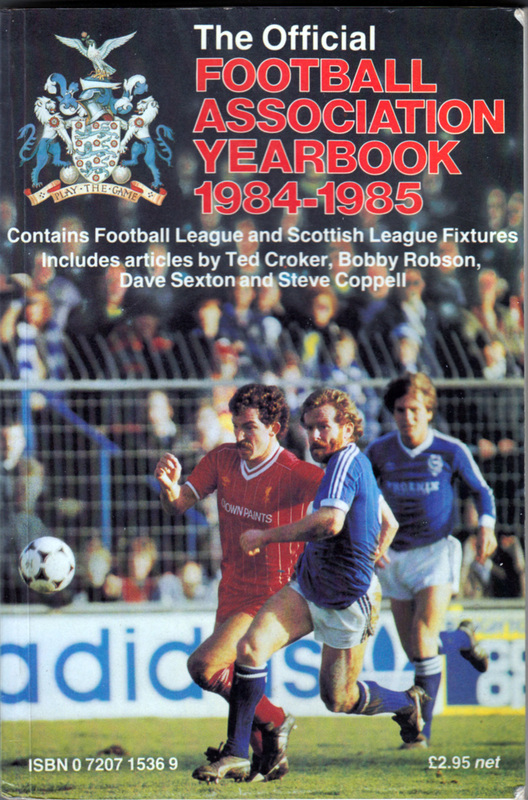 At the time, the matchday programme described how ‘the sales of the book from our Promotions shop was both brisk and plentiful.’ It was almost certainly helped by having such a striking image on the cover. 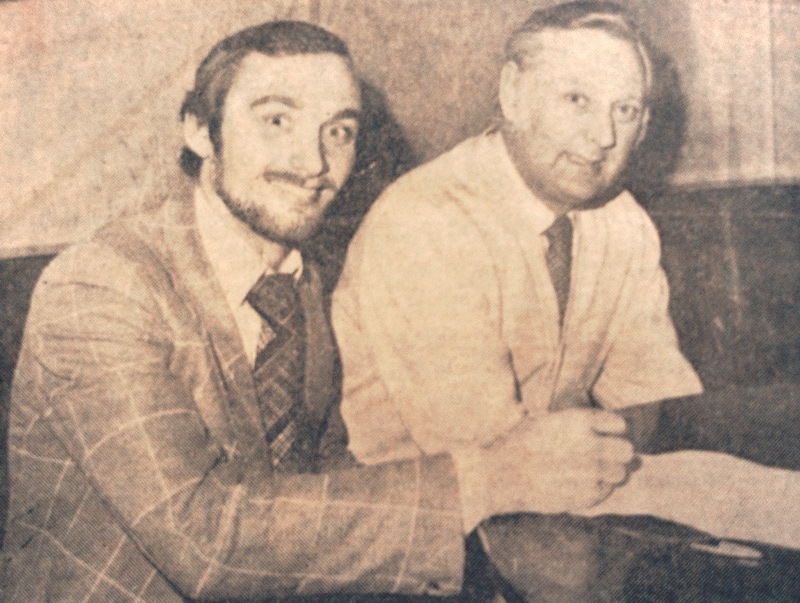 Brian Horton, Port Vale’s midfield general, signed for Albion today. A £30,000 fee was agreed between the clubs after manager Peter Taylor made his approach last night when Horton played in the 2-2 draw at Crystal Palace. Horton, 27, visited the Goldstone this morning when formalities were completed. He will watch his new club against Shrewsbury Town tonight. The signing is highly regarded as one of the hardest players in Division 3, and Taylor has never concealed his admiration of the player. No doubt Taylor wants a harder approach away from home by his promotion-striking squad, and sees Horton as just the man to inject more power. Captain of Port Vale, Horton has played over 250 games for the club, and joins another former Vale player at the Goldstone, striker Sammy Morgan. He cost £30,000 from Aston Villa. When the transfer was completed 24 hours before the deadline, Taylor said: ‘I have always admired Brian. He has been very loyal to Vale, and he possesses the qualities I want in players. A final check was made on Horton last Saturday when Vale won 2-1 at Rotherham. He has been under close scrutiny for the past two months. Port Vale earlier had inquiries about Horton from Hereford and Peterborough, but these were turned down. When Albion came in with their bid, there was no hesitation by Vale’s directors. The move is the first in Horton’s career, although he began as an apprentice with Walsall. He has been at Port Vale six seasons and captain the last two. With Vale, Horton played a left-side, midfield role. Injury kept him out of the team when Albion drew 1-1 at Vale Park on September 6, and he has been injured recently. There was a possibility of a second signing before the deadline, but Taylor said that he was now content to play a waiting game to get the player he wants. Albion expect a 20,000 plus Goldstone gate tonight for the visit of promotion rivals Shrewsbury Town. Injured winger Gerry Fell will enter hospital tomorrow for a knee operation. Victory would give Albion a 15th straight home League win and close the gap between them and leaders Hereford United to two points. A 15th consecutive home win proved beyond Brighton, as Shrewsbury took a shock 2-0 lead before half-time. However, Albion rallied to secure a 2-2 draw. 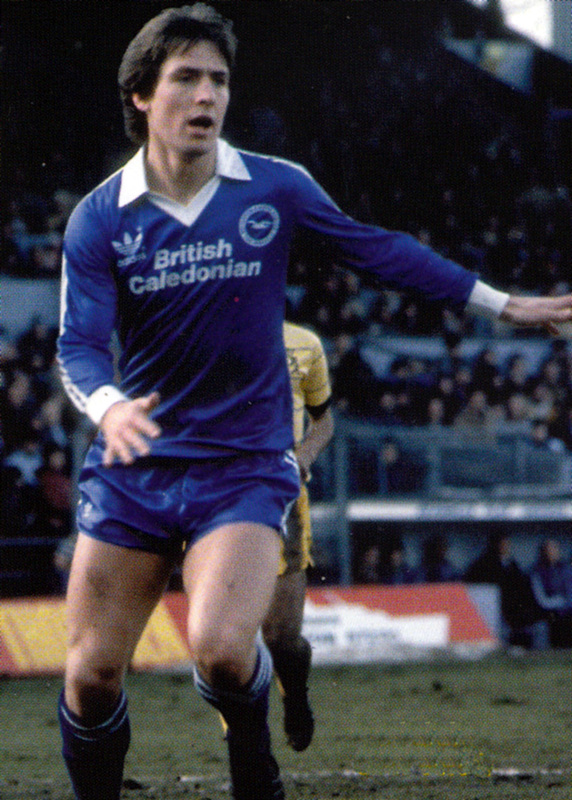 Horton made his debut for Brighton in the following match, at Preston on 13th March 1976, and played for the remainder of the 1975/76 campaign. Even so, if Taylor had hoped for an immediate upturn in results away from home, he was to be disappointed. Brighton lost 1-0 at Deepdale and would not gain another away victory for the rest of the season. Three points short of Millwall in third place, this ultimately cost the side promotion to Division Two. As for Port Vale, despite the need to balance the books, their supporters were understandably livid about the sale of their inspirational captain for such a low fee. From being eighth after Horton’s final match for Vale, it was unsurprising that Roy Sproson’s team’s form dipped. It took them until a 3-1 victory over Wrexham on 5th April 1976, with two goals from Terry Bailey and one from Colin Tartt, before they witnessed another win. 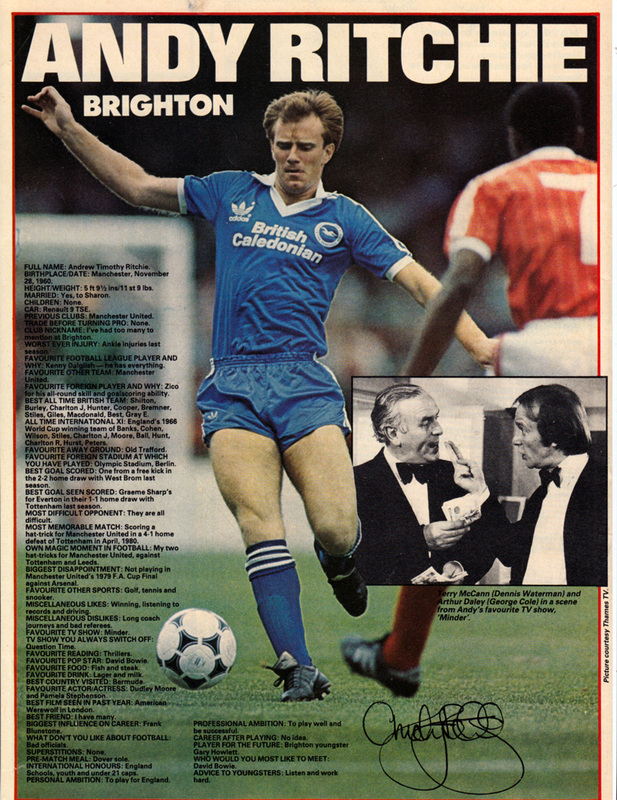 Five days later, Brighton rubbed salt into the wounds at the Goldstone, decisively winning 3-0 with goals from Binney, Mellor and Ward. 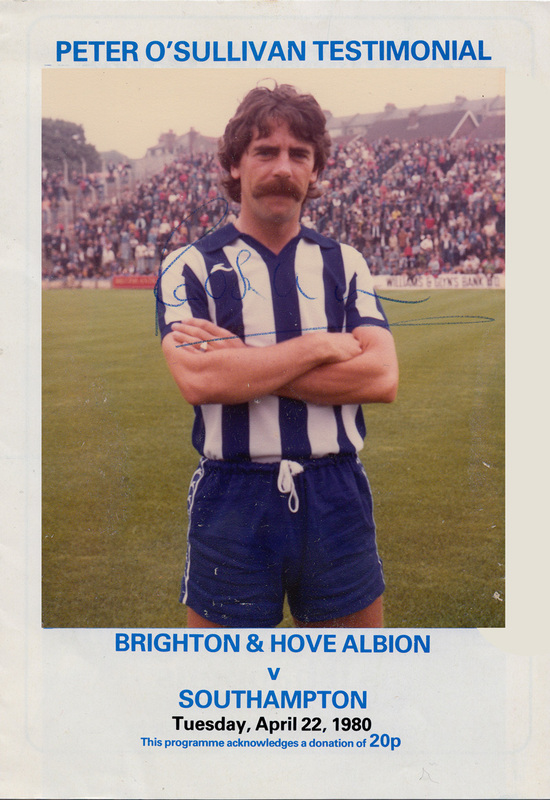 By then, Brian Horton was the new Albion skipper, a role he held with great distinction for the next five full seasons. Football may disappear from the Brighton and Hove area entirely within the next four years as a result of the local League club’s decision to vacate the Goldstone Ground. That was the verdict of commercial manager Ray Bloom as Brighton & Hove Albion unveiled plans for a new £18million, 25,000 all-seater stadium and multi-sports complex last week. “Because of the Taylor report we would have to be in our new ground by the start of the 1994/95 season,” said Bloom,” and the ideal spot would be just off the new Brighton bypass at Waterhall. In-depth discussions with the two local councils have, as yet, failed to unearth a site for the new venture. But Sussex-based property developers Wyncote have already commissioned a detailed feasibility study into the exact cost and specifications of the new ground. Wyncote are also planning to build the stadium. No decision has been made on the future of the Goldstone Ground itself, although since it is valued at £7-10million, its part in the overall deal is a large one; with current debts of £3million and a running deficit of £ 1,000 a day; the Seagulls are going to need all the money they can get. It is envisaged that the new complex will create a centre of revenue for the club; an athletics track, outdoor allweather soccer pitches, squash courts and gymnasiums; and a restaurant, shopping facilities and even a cinema for the nonsporting. But Bloom concluded that: “The club is at a crossroads, and unless the site is found quickly, the future is bleak. “If we cannot fulfil safety obligations and we remain in one of the top two Divisions, then our place in the Football League will inevitably come under threat. The first Albion signing during the close season was a name well known around the lower divisions of the League but previously unknown in the First Division. One of four nominations for the ‘Third Division Player of the Year’, named in the Players’ Division Three ‘All Star Team’ and captain of the Swindon side beaten in the League Cup semi-final, the 1979-80 season had been highly successful for the son of a Sheffield steelworker. A move to the top division had hardly been further from Ray’s thoughts when Alan Mullery decided to sign him back in May in the deal that took Andy Rollings to Swindon. However when the chance came he decided to take his opportunity. McHale signed as a pro for Chesterfield at the age of 21 in September 1971. After a spell with Halifax, he joined Swindon Town in 1976 where he established a reputation as a highly influential midfielder. Indeed, Albion fans may recall the match of New Year’s Day 1977 when McHale ran the midfield, helping Swindon to a 4-0 lead before referee Alan Robinson abandoned the match after 67 minutes due to an unplayable pitch. 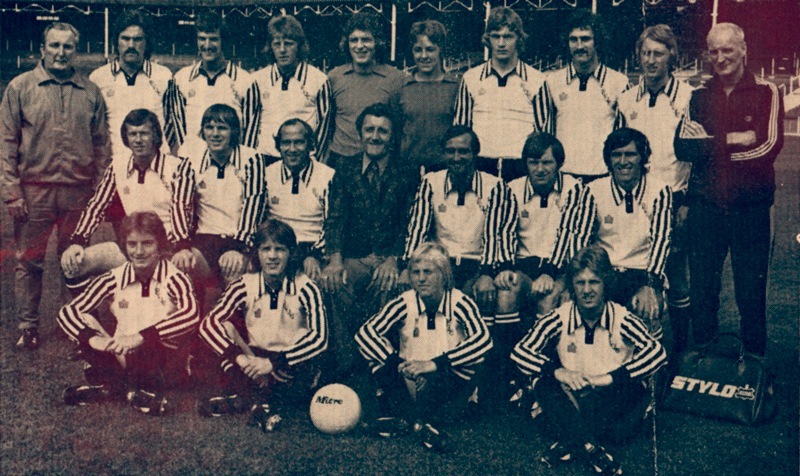 In the rescheduled game, played in May 1977, McHale’s two goals for Swindon helped to defeat Brighton 2-1, costing the Sussex club the Third Division Championship. At the Wilshire club, McHale even reaching the League Cup semi-final in 1979/80, where McHale converted a penalty at Molineux in a narrow 4-3 aggregate defeat to Wolves. He hadn’t really been looking for a move but money was tight at Swindon so the club had decided that they could perhaps recoup some cash by selling him. He faced a choice of going to Luton or coming to the Goldstone and plumped for the opportunity to play for the first time in Division One. However in the Swindon side he played at the central part of midfield while the superb form of Brian Horton in that position has meant little opportunity for Ray to fill that role at the Goldstone. Naturally he still has hopes of earning a regular spot in the first team but any forecast of his immediate future must be only conjecture. 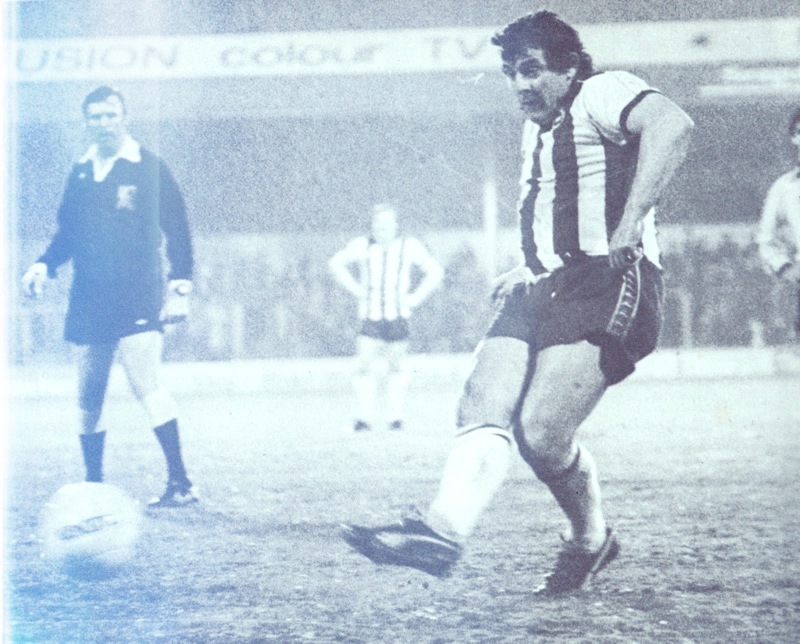 One of the Albion’s family men, Ray, and his wife Jacqueline have two children, 13-year-old Nadia who goes to the Tideway School in Newhaven and Andrew, aged nine, who attends the local Hodden Primary School in Peacehaven; Andrew, incidentally is a budding full-back with Saltdean Tigers. The family pet dog Sandy, occupies much of Ray’s leisure time and he gets a real ‘kick’ out of walking with Sandy over the Downs at the back of his home. While football is his profession Ray is tops at the Albion among the squash players and is a regular member of the Corals’ club team at the Nevill Boad courts. In fact he reckons that wife Jacqueline must be a realsquash ‘widow’ as he plays almost every evening Apart from playing highly competitively at squash he occupies a fair amount of time coaching in football. He is a full FA badge holder and has recently been helping with coaching at Sussex University He looks to a future career in the game when his playing days are over and he feels that coaching is more than just a job. He thoroughly enjoys it and works hard with the youngsters he teaches. There are many professional footballers who spend much of their time in the lower divisions, some even who play professionally in non-League football for years. Most would give their right arm to play in the First Division. Ray McHale is one player who has adorned the lower divisions with some grace and has then had the opportunity, at least, to try the First Division. Whether or not his future lies at the top level remains to be seen, what is certain is that Ray McHale will always have his heart in football and, talking with him, one gets the impression he will always be able to earn a living from the game he loves. In the end, the transition from Third Division to First Division proved too much. 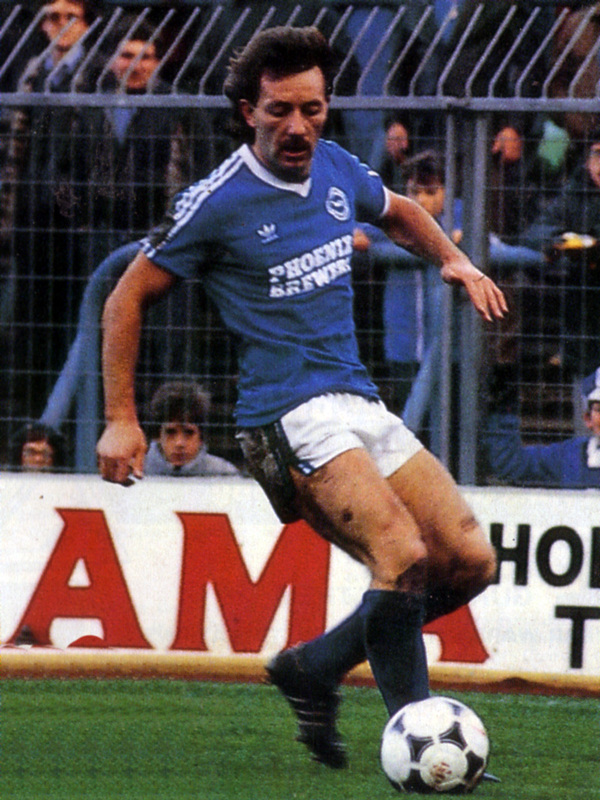 After just 13 appearances for Brighton, Barnsley snapped McHale up for £60,000 in March 1981. He helped the Tykes put the Seagulls out of the League Cup in 1981/82 in a 4-1 pummelling before moving again, this time to Sheffield United at the end of that season. 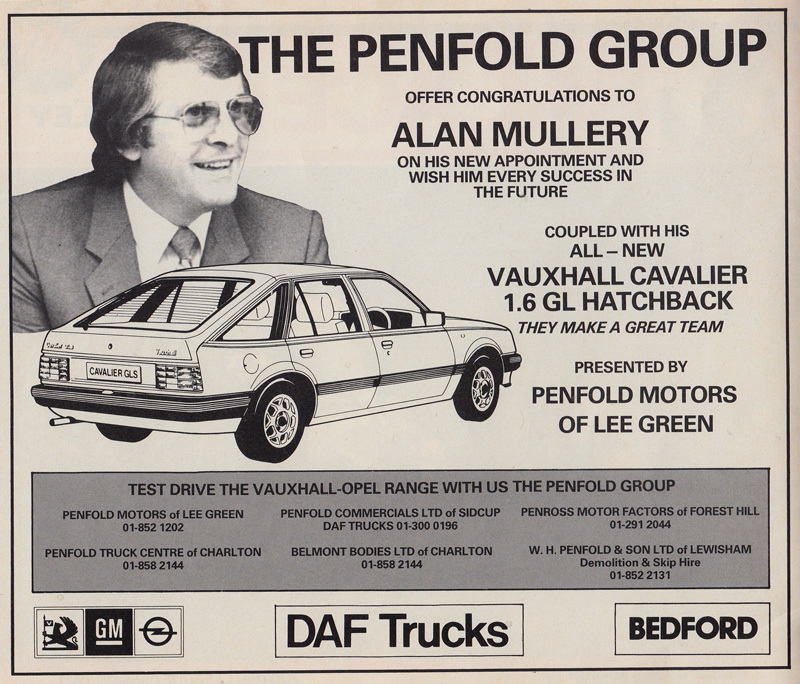 In the summer of 1981, Alan Mullery resigned as manager of Brighton. He was appointed boss of Charlton and led the cash-strapped club to a brief flirtation with promotion from the Second Division before it fizzled out with the Addicks finishing 13th. In July 1982, in a highly controversial move, Ron Noades appointed Mullery as the new manager at the even more cash-strapped Crystal Palace, following the sacking of Steve Kember. Unsurprisingly, Mullery attracted enormous hostility from Eagles supporters, due to his association with arch rivals Brighton, not to mention his rather impolite gestures at their fans following the FA Cup match at Stamford Bridge in 1976. I sympathise with the fans who not so long ago saw their team perched proudly at the top of the League and have since followed the club’s decline in fortune. We approach the season with new faces and new optimism. Palace have had more than their share of bad publicity over the last two years. That is inevitable when a club reaches the top. People are all too ready to knock you down. 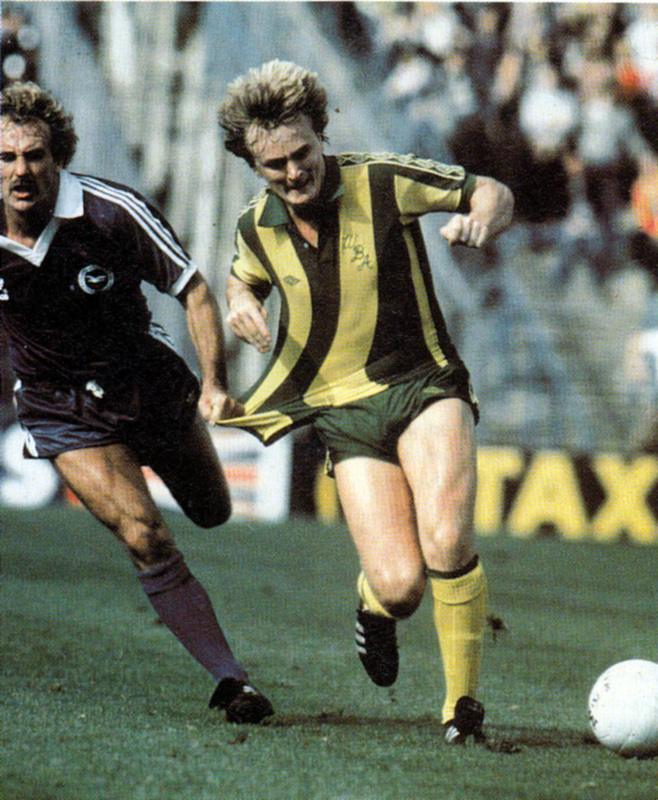 Andy Ritchie in action against Palace in a pre-season friendly. 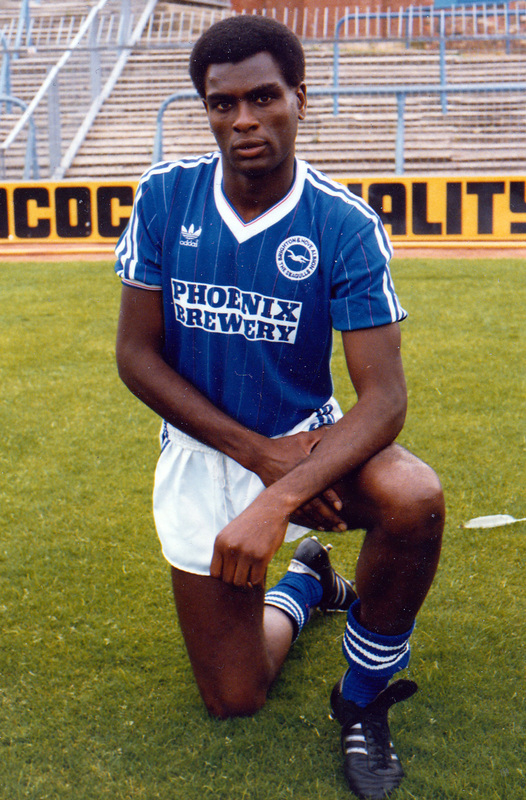 Gary Williams is an experienced pro who, while at Brighton, travelled with me from the Third [sic] to the First Division. I have every confidence that his value will lie in his experience as well as his ability. Henry Hughton was Steve Kember’s last signing for the club and he is a player who is never satisfied with giving less than his best effort. 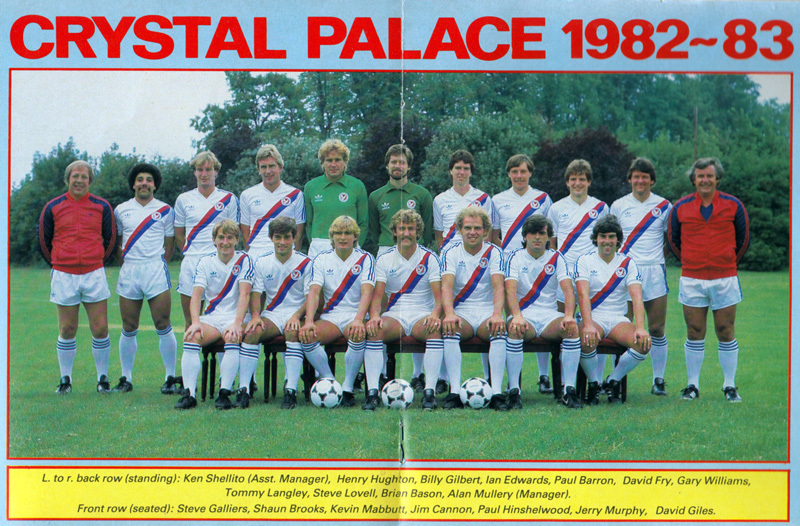 At the end of the 1982/83 season, Brighton were relegated from Division One and financially-stricken Crystal Palace did well to hold on to their Second Division status, meaning that in 1983/84, the rivalry between the clubs would be renewed once more. Palace boss Alan Mullery suffered agonies on his return to the club he twice led to promotion. Rival manager Chris Cattlin had plenty to be pleased about – especially the performance of leading scorer Terry Connor, who was dropped last week. Connor responded with three goals in two reserve games and crowned an eventful week with his 16th goal of the season. Alan Young put Brighton ahead after nine minutes and Brighton were only threatened when Peter Nicholas scored early in the second half. 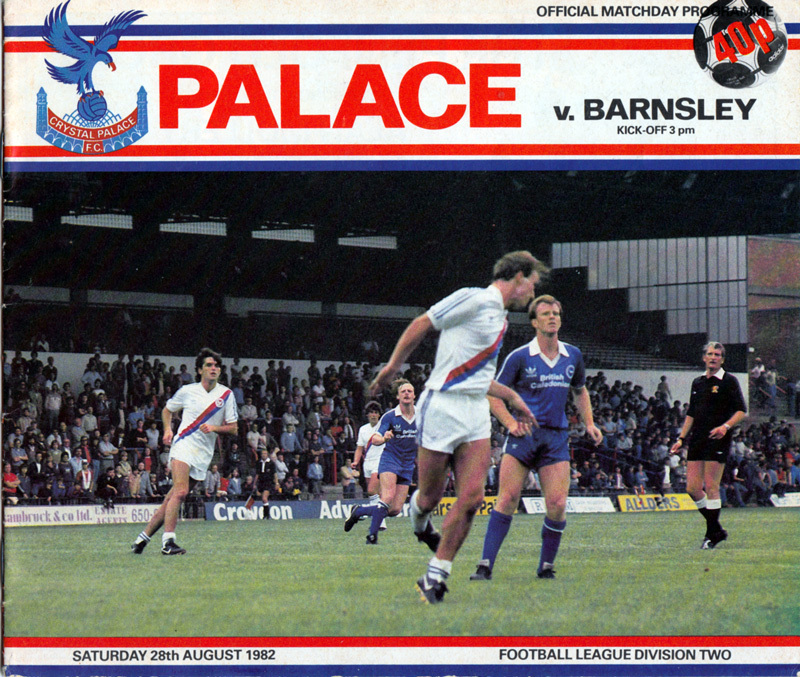 But Eric Young’s 89th minute goal, when Palace’s defence was pulled apart at a corner, settled the match. Brighton: Corrigan 7, O’Regan 6, Hutchings 7, CASE 8, Young (E) 7, Garring 7, Wilson 7, Penney 7, Sub: Ryan 6. Palace: Wood 6, Locke 6, Hughton 6, Stebbling (inj) 6, Cannon 7, Gilbert 6, Cummins 6, Lacy 6, McCulloch 6, Nicholas 8, Hilare 6. Sub: Giles 6. The 42-year-old Mullery, who took Palace to Brighton for a testimonial last night, said: “I’ve been in football long enough not to be surprised by anything, but it did come out of the blue. 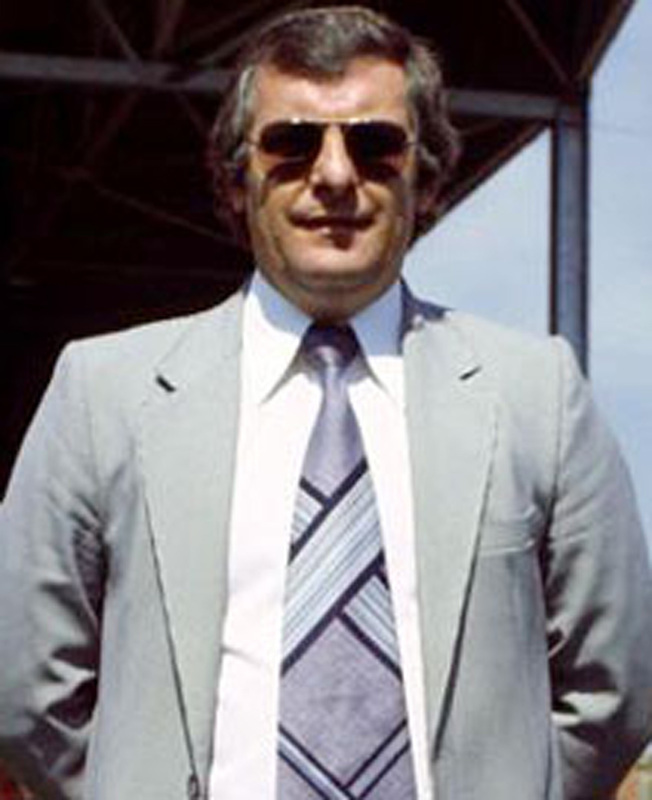 Two years later Alan Mullery would return to the club where his management career began – Brighton. By that point he may have believed he had seen almost everything in football management, especially as far as ailing clubs go. Perhaps he thought he was beyond surprise. He was in for another shock.